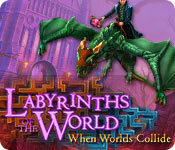 Labyrinths of the World: When Worlds Collide is rated 4.3 out of 5 by 9. Rated 5 out of 5 by radarsweet from Another Great in this Series! I'm a big fan of the Labyrinth series, & this one doesn't disappoint. The graphics aren't as clear & crisp as they should be, but the story line flows very well. As usual, you have to save someone before time runs out. The HOP's are varied (item list, silhouette, putting things back) & I really enjoyed that. The mini-games were also good; some harder than others. the BIG plus is that instead of playing the HOP's, you could play Match 3 instead. That's not a common extra in a SE games, so another star just for that feature alone.I think that anyone would enjoy this game, regardless of your skill level. It may be too easy for those "experts", but if you're looking for a nice, casual rainy day game,, this would be a great one. You won't be disappointed. Rated 5 out of 5 by debarb from Not disappointed I was thrilled to see this one to add it to my collection of Labyrinths of the World games. The graphics are beautiful, the music is good, and the story line is good although a bit predictable. Your sister is sucked into a portal activated when she cuts her finger on a book. So of course, you must follow to rescue her. Once through the portal you travel thru a couple of worlds to reach the one where your sister is being held. She is to be part of a ritual that will give immortality to the villain. The pace of the game is very nice. I never got bored. I turned off the tutorial and all helpful messages so I figured out what to do next without the help of them. I usually play a game the first time with the mini puzzles set for easy, but this time I changed the setting to hard because easy made them far too simple for me. Overall I loved the game. And I know I will be replaying this one time and again. I highly recommend it. Rated 5 out of 5 by ninja226 from Superb! This is game is like a summer blockbuster movie--lots of special effects, video cut scenes, good looking characters, tons of puzzles and HOPs, beautiful artwork. 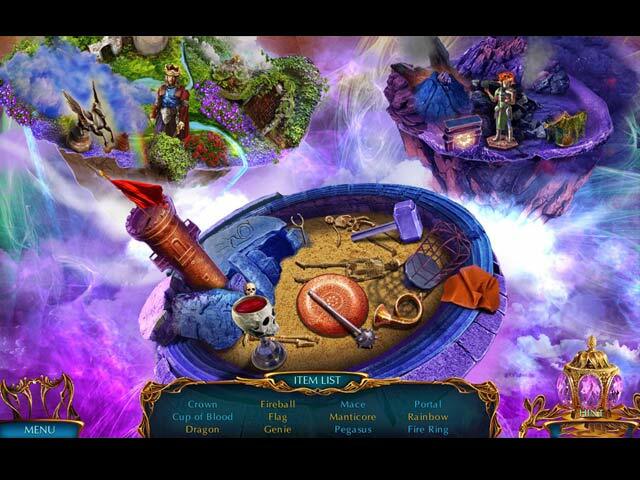 The puzzles range from easy to challenging, but easy & hard options available for each puzzle. Even HOPs could be challenging, but match 3 option is available. Expert mode disables Hint & skip, but allows helpful messages & plus indicators. For expert players, this is all that's needed, as 90% of actions to progress is logical. Sleuthing aspect is excellent. This game is great value for the money and will provide challenge to both beginner & expert gamers. Rated 5 out of 5 by IMOMIMOM from A Really Great Game!!! Big Fish Games is converting to mostly Collector's Editions and this game was not one of these CE games!! Thank you!!!! The storyline was really engaging. Loved the length - LONG. 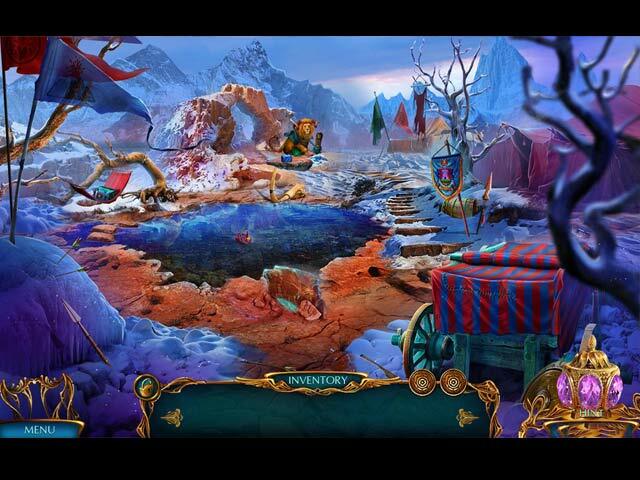 Interesting games in the story. Good character development. Recommend!!! Rated 5 out of 5 by biscuitsmama from SOARING DRAGONS AND AWESOME GRAPHICS MAKE THIS A SPECIAL LABYRINTHS GAME In Labyrinths of the World: When Worlds Collide the eighth game in the Labyrinths of the World Series, you and your sister, Margaret, have been hired by a British Library as consultants in preparation for a rare books exhibition. Margaret is thrilled as she has been trying to get her hands on a rare book called The Gates, and because it has been linked to several disappearances she wants to make sure it isn’t harmful. You and Margaret are both Seekers, individuals who have a rare gift and can travel between worlds, helping to maintain safety and peace in this world by protecting it from outside threats. As you and Margaret are preparing the books for the exhibition you learn that one rare book is missing. Something odd has happened at the museum as one of the librarians happened to disappear after finding the book, as did several of its previous owners. When Margaret finds and accidentally opens the book, she is taken through a portal and now you must follow her. Will your abilities as a Seeker help you find Margaret before it is too late? For the most part I have stopped including technical information in my reviews as most games have the same settings. But I want to mention that this developer offers us the option of selecting between “Easy or Hard” puzzles when setting up the gameplay. Even though the puzzles offer both options, you can change it for each puzzle. The only suggestion I have for the developer is that in the Custom game selection I would like the option of setting my hint and skip time without a bottom time limit being set since I tend to be a bit impatient when I need a hint and I think 15 seconds is too long. The HOPS are overall quite excellent but if you prefer not to search for items you can choose to play an alternate match-3 game. 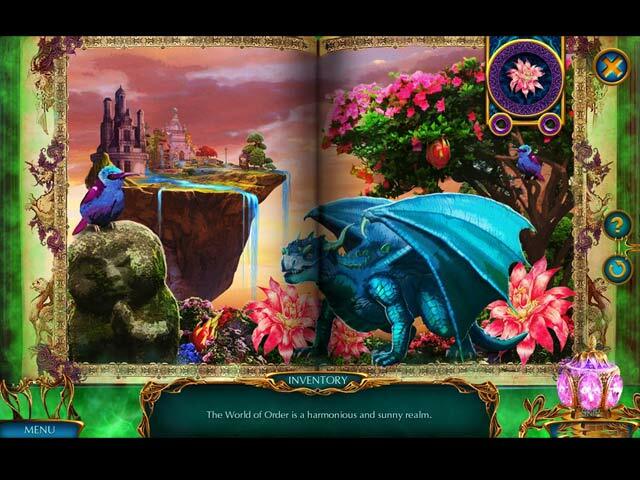 The first HOP scene is a very creative and well-designed story type scene. I loved this scene and had to work to find the items. I doubt that I have enjoyed other story type scenes as much as I did this one. Although the first scene was terrific it was followed by several other storybook scenes that were basically very easy. There are some additional HOPS that I think are as good as the first one so I am very happy with the game that seems to be an improvement in some respects. Although the HOPS are what I consider to be excellent, I find the puzzles to be quite easy. I have seen many of the puzzles in other games from this development team and, at least in the demo I didn’t find anything with the puzzles that I felt was different or creative. That being said, I realize that when someone plays as many HOPA games as I have over the past 14 years that it is not often that something new comes along. If you prefer the CE version of a game this one includes quite a few extra goodies such as Collectible Statuettes, Missing Book Pages, and Crystals to find. There are also 33 Achievements, 11 Wallpapers, 32 Movies, Seller Gallery (use the crystals you find to buy items), and 5 Music Tracks. You can also replay 22 Mini-games and 19 HOPs. Other extras include the Bonus Game and a Strategy Guide. Although I am fairly tired of the game’s evil wizard theme, I still believe it is an excellent game and one that I will add to my gaming library. Domini has created a masterpiece, IMHO. I had a lot of fun playing the HOPS and solving the puzzles. At least for me I enjoyed the gameplay factor that many will think is just more of the same old thing but when you love HOPA games as much as I do and can hardly wait for the weekly offerings, it doesn’t matter that they seem familiar. I think this game stands out at least for me because of the beautiful graphics and the very well-told storyline. IMHO, Domini has created a masterpiece. Even though I love this game, I always recommend that you try the demo to see if Labyrinths of the World When Worlds Collide is a game you will enjoy. Happy gaming! Rated 4 out of 5 by deddu from EVIL CONQUEROR As others have gone into great detail, I will only say that it is a good, solid and long SE. My only con is that there is a lot of jumping around and the game flow could have been better. Rated 2 out of 5 by JeannieT_LFP from Ultimately tedious I'm not sure why this game generated so many top reviews. Initially, I thought I was going to enjoy the entire game, but midway through it, I found myself waiting for it to finally end, as it seemed I kept basically repeating the same series of sequences over and over. Although some of the minigames were different from the usual run of the mill, after repeating those same types many times, they too became tedious. In addition, I found myself using the Hint button fairly often, sometimes because it really wasn't intuitive what to do next, but more often because I wanted to speed up gameplay. The graphics were mostly excellent throughout much of the game, but those in the final location seemed amateurish. I also think the map feature could have been better implemented, as there was no way (other going back manually) to go from one level of the game to another. On reflection, I wish I hadn't bothered finishing the game. As always, try before you buy.